Niagara Trappers Council annual trappers workshop. 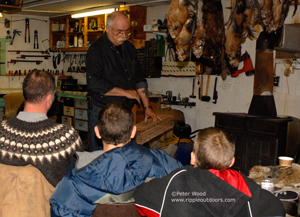 Professional fur trappers will be demonstrating their skills on Saturday Jan.30. from 10 am to 1pm. Located at the Abingdon Hall on Silver Road west of Binbrook. They we will be skinning and boarding different fur bearers for all who are interested or may want to learn more. All are welcome, make sure you bring the kids!